This dahlia has become the most popular wedding dahlia over the last three years. 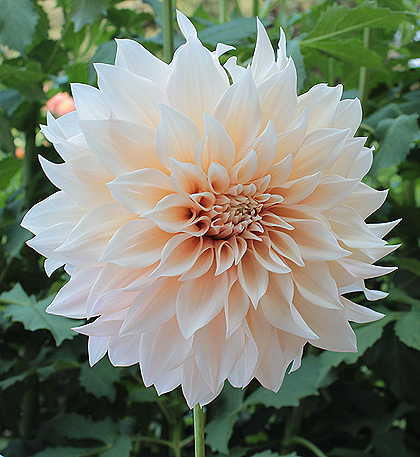 Brides selecting dahlias for their weddings all gravitate to this dahlia. The form is loose and inconsistent and the color can vary from true pink to the preferred tannish pink. Very productive and very much in demand as a cut flower.